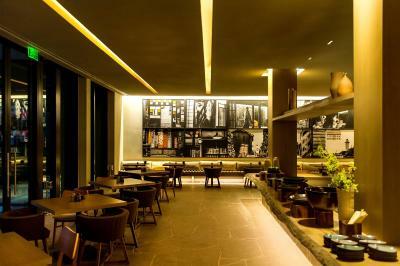 Lock in a great price for Grand Hyatt Rio de Janeiro – rated 8.8 by recent guests! 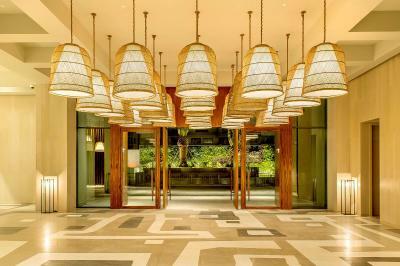 The rooms were large and comfortable, Staff was friendly. The Japanese restaurants Shiso was excellent. We liked the location but we knew where we were going. If you want to visit Rio, you're far from everything in Barra de Tijuca. 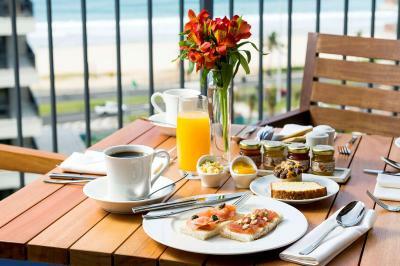 Room, view, sushi restaurant, breakfast, pool, staff, location. Beautiful and uncrowded beach right in front of the property! 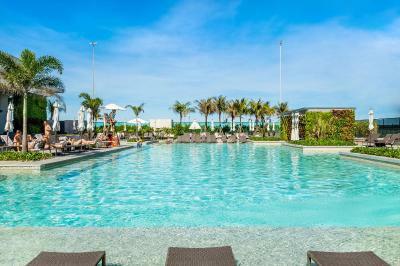 Very nice pool, good restaurants, and great service. Very friendly service. The Grand Club Lounge was fantastic for breakfast and evening cocktails! 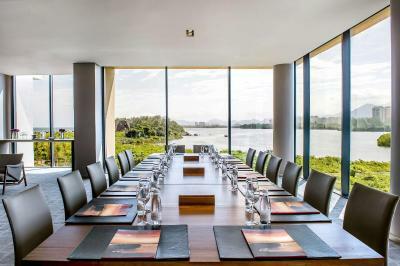 Grand Hyatt Rio de Janeiro This rating is a reflection of how the property compares to the industry standard when it comes to price, facilities and services available. It's based on a self-evaluation by the property. Use this rating to help choose your stay! 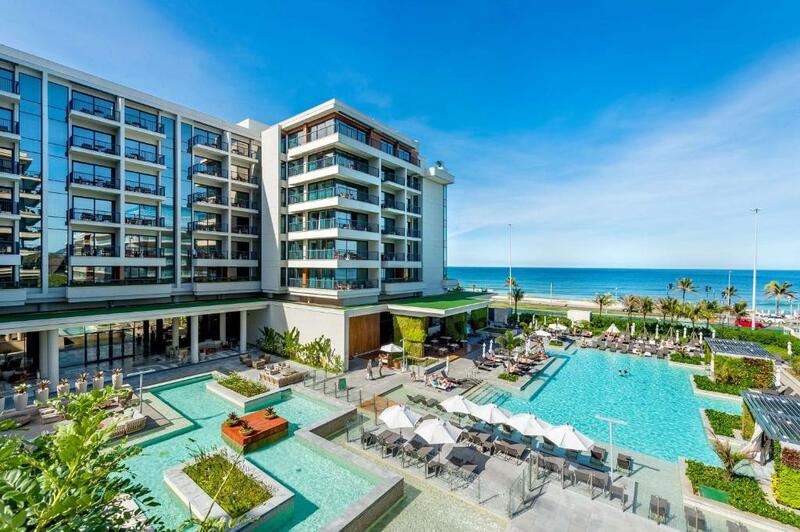 One of our top picks in Rio de Janeiro.Boasting an an outdoor pool and spa center, Grand Hyatt Rio de Janeiro is strategically located in the heart of Barra da Tijuca, nested between the ocean, the lake and the mountains, just across the street from Reserva Beach. 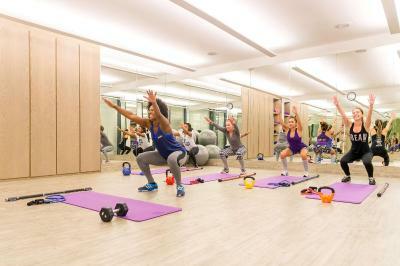 The hotel has a sauna and fitness center with a Yoga Studio. 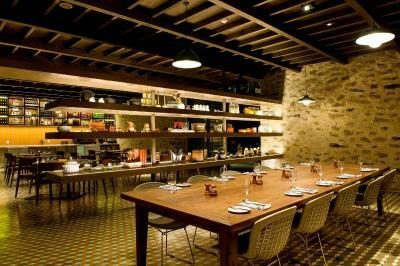 Guests can enjoy a meal at one of the three restaurants. Free WiFi is available throughout the property and private parking is available on site. 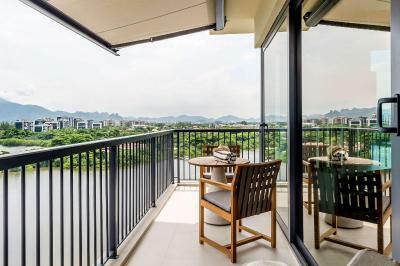 Each room at this hotel is air conditioned and offers a furnished balcony. 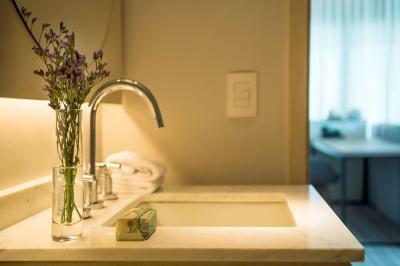 Rooms also offers a bathtub, so guests can relax after a busy day. For your comfort, you will also find bath robes and a hairdryer. 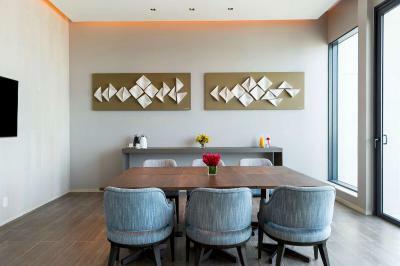 There is a 24-hour front desk, a cash machine and shops at the property. Beach service is available and offers chairs, parasols and towels. There is also a kid's club with indoor and outdoor entertainment activities open every day. 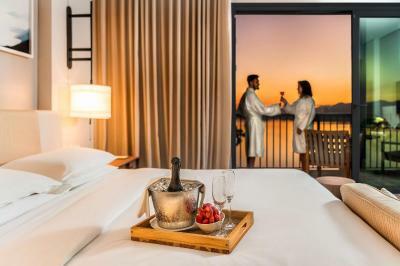 Guests can also enjoy several activities such as ferry ride through Marapendi Lagoon, daily physicial activities,caipirinha tasting, access to the Atiaia Spa and fitness relaxation room, bike experience, 24-hour access to the gym and welcome drinks at Cantô Restaurant,at a surcharge. 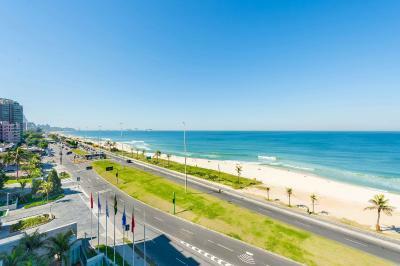 Jeunesse Arena is located nearby, while Cidade das Artes is 2 mi. 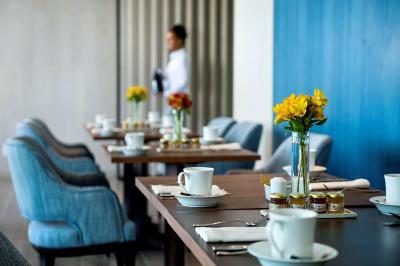 The nearest airport is Santos Dumont Airport, 16 mi from Grand Hyatt Rio de Janeiro. 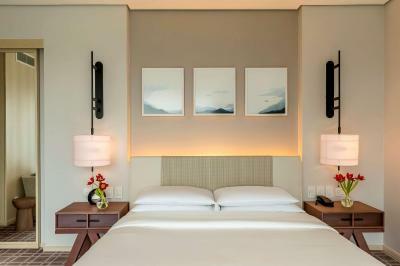 When would you like to stay at Grand Hyatt Rio de Janeiro? 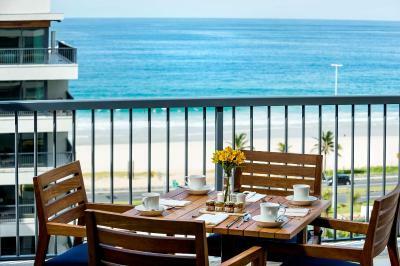 This double room offers a partial view of the Atlantic Ocean, a private balcony and a work desk. 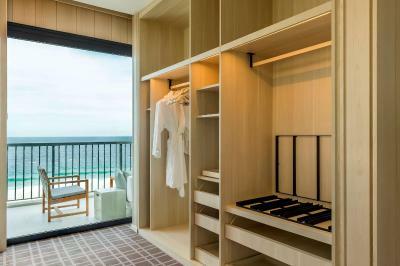 This twin room features a balcony with ocean view, air conditioning and bathrobe. 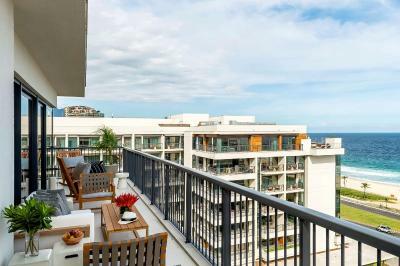 This luxurious suite features a balcony with ocean view and air conditioning. Guests have access to the Grand Club Lounge, and a walk-in closet is available. 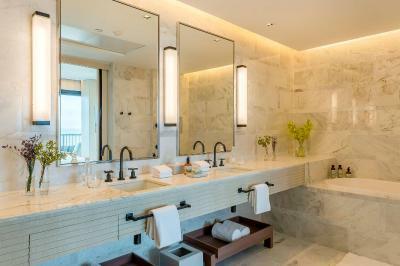 The premium bathroom is fitted with a double sink. 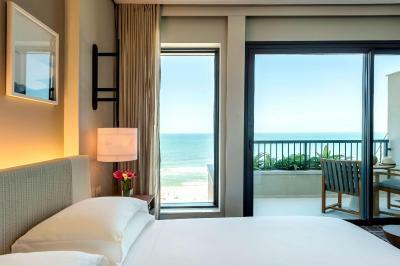 This double room, with a king size bed, features a balcony with ocean view, air conditioning and bathrobe. 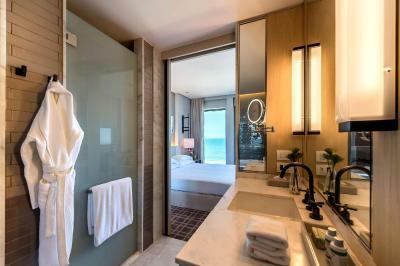 This twin room has a balcony with ocean view, air conditioning and bathrobe. 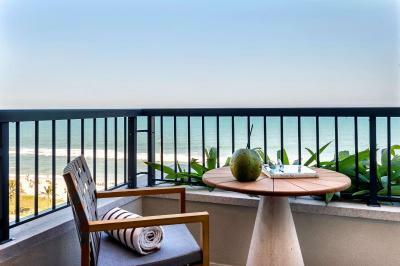 This double room features a balcony, air conditioning and sea view. Club Ocean View King offers access to Club Lounge where guests can sample free breakfast and enjoy cocktail services. 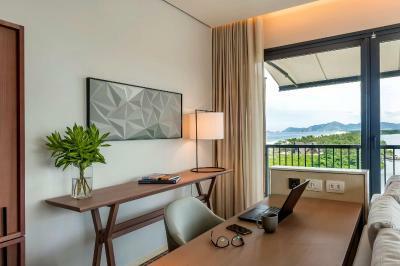 Boasting an ocean view, this twin room offers access to Club Lounge where guests can sample free breakfast and enjoy cocktail services. 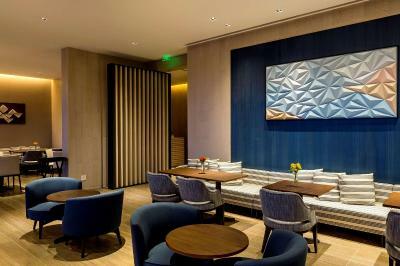 This double room offers access to Club Lounge where guests can sample free breakfast and enjoy cocktail services. This twin room has air conditioning and bathrobe. Club Twin offers access to Club Lounge where guests can sample free breakfast and enjoy cocktail services. This double suite, with a king size bed, features air conditioning and free toiletries. Guests have access to the Grand Club Lounge, and a walk-in closet is available. 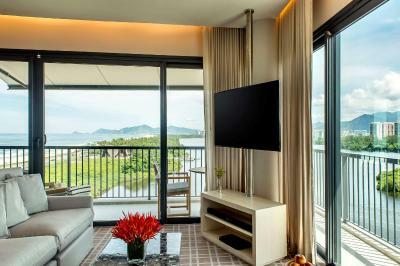 This spacious room features a balcony with courtyard view, air conditioning and bathrobe. Guests will also find a Nespresso coffee machine. The premium bathroom is fitted with free toiletries. 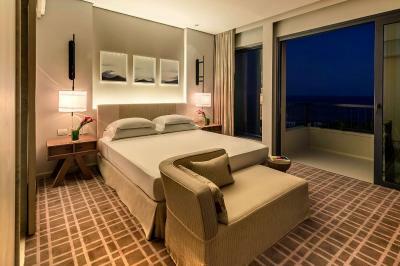 This luxurious suite features a balcony with stunning Atlantic Ocean view and air conditioning. 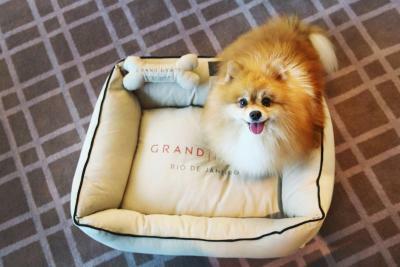 Guests have access to the Grand Club Lounge, and 2 large walk-in closets are available. 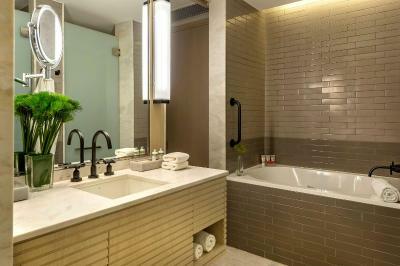 The premium bathroom is fitted with a double sink. 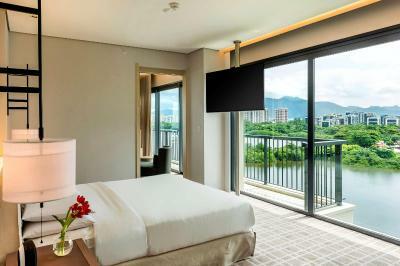 This spacious twin room features a balcony with courtyard view, air conditioning and bathrobe. Guests will also find a Nespresso coffee machine. The premium bathroom is fitted with free toiletries. 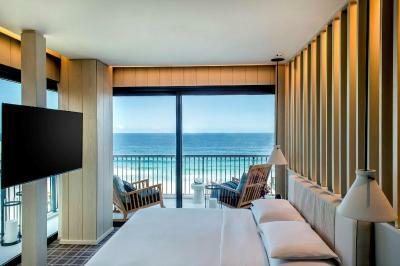 With 436 sophisticated rooms and suites, Grand Hyatt Rio de Janeiro design concept is based on the idea of an urban resort – to blend the comfort and luxury services of a world-class hotel with the relaxing tranquility of a secluded beach resort. Yabu Pushelberg, the internationally acclaimed designer, created spaces that are airy, original and integrated with the surroundings to create a seamless bond between the design and the breathtaking natural settings to promote a truly extraordinary guest-experience. 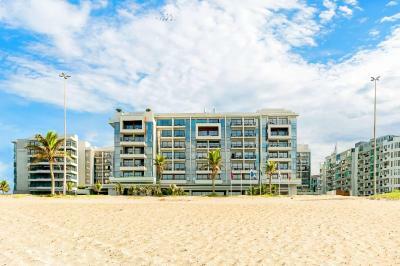 Hotel surroundings – This neighborhood is a great choice for travelers interested in sunsets, sandy beaches and outdoor activities – Check location Great location - show map Guests loved walking around the neighborhood! 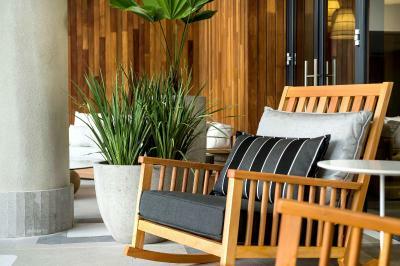 House Rules Grand Hyatt Rio de Janeiro takes special requests – add in the next step! 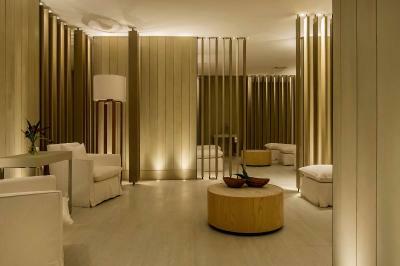 Grand Hyatt Rio de Janeiro accepts these cards and reserves the right to temporarily hold an amount prior to arrival. Tax service will be charged in case of cancelation or no show. Please note that Airport Shuttle service is offered at a surcharge. Contact property for more details. 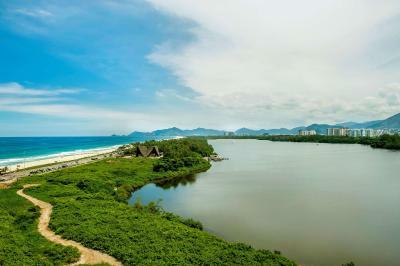 Please note that the resort fee includes: ferry ride through Marapendi Lagoon, daily physicial activities,caipirinha tasting, access to the Atiaia Spa and fitness relaxation room, bike experience, 24-hour access to the gym and welcome drinks at Cantô Restaurant. Please contact the property for further details. The situation of the room was horrible. View on a wall. Party all night on Saturday below our room. Seats by the uncomfortable. The proximity to the beach, quite area, safe area. Shower in the room was fantastic. Amenities hogh quality. Top TV program offering. A bit far if you want to be in Ipanema. The beach service could have been better some of the staff we found very rude, felt like we were inconveniencing them some times when asking for towels. 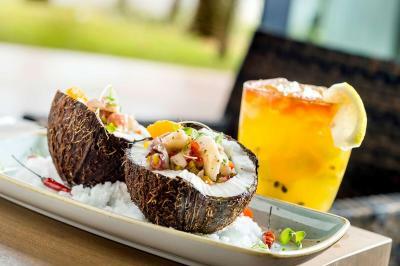 The restaurants on site are very overpriced as well as the shop on site, they also add a 10% service charge on top of the bill, much better off going to the shop round the corner called Alpha Bella for drinks and snacks as the mini bar also overpriced. There are also cheaper restaurants around the area. The main pool was quite dirty and could get very busy, however there is an adult only pool which is lovely. Fabulous safe location if you are looking to be out of the busier louder areas, beach is beautiful a lot nicer than Copacabana and ipanema, you get towels, water, sunbeds and parasols. I would highly recommend upgrading to an ocean front Room the view is beautiful, very clean and tidy, lovely free toiletries and free use of the sauna and steam room, there is also a relaxation room which you can use. 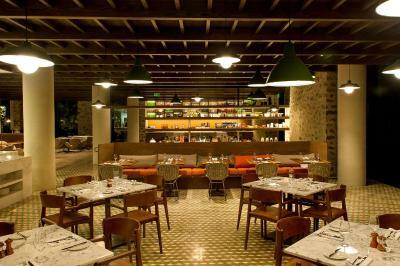 we enjoyed a meal at the Shiso restaurant, food staff and experience down to the beautiful little plates was fantastic. It was a construction right at the next building. So once your are resting near swimming pool you should use headphones to manage the noise. In addition hotel is on the road of the helicopters stations and every 20 minutes there are noise due to its flying. Bathroom facilities were broker (shower and paper handling) Swimming pool was dirty, sun deckchairs were fully covered with mildew and standing at the swimming pool. Cocktails at the pool bar are full of sugar, even hard to drink. The check in process took a hour. 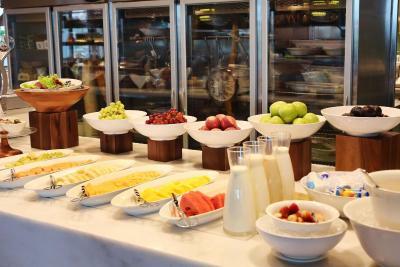 Breakfast is basic. 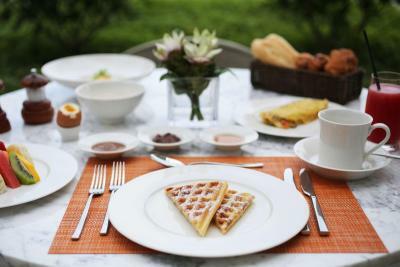 It is expected much more from 5-star hotels. No gluten free, vegetarian friendly option. Ocean, beach. Japanese restaurant at the hotel. Proper cups in room for coffee not paper The cleaning of the room was hit and miss . sometimes you may get the used glasses replaced and at other times the dirty glasses would be left No surfaces appeared to have been wiped down - coffee / tea stains still on cupboard surface / bathroom washbasin area / carpet not cleaned . At restaurant and at reception we were ignored and we were the only guests there at the time . We had to ask to be helped . Returned from full day tour and wanted a cup of tea to find cups had not been replaced and only herbal teas left Called housekeeping who said would send straight away . Received cups and tea 35 mins later and only after second call to housekeeping . My sister had spoken twice to the hotel to advise that it was a special birthday for me . They assured her that something would be left in room on arrival . Norhing was . Raphael at reception was very apologetic when he was advised of the above and offered us something as way of ensuring our last day at hotel was a memorable one .